Well it happened. 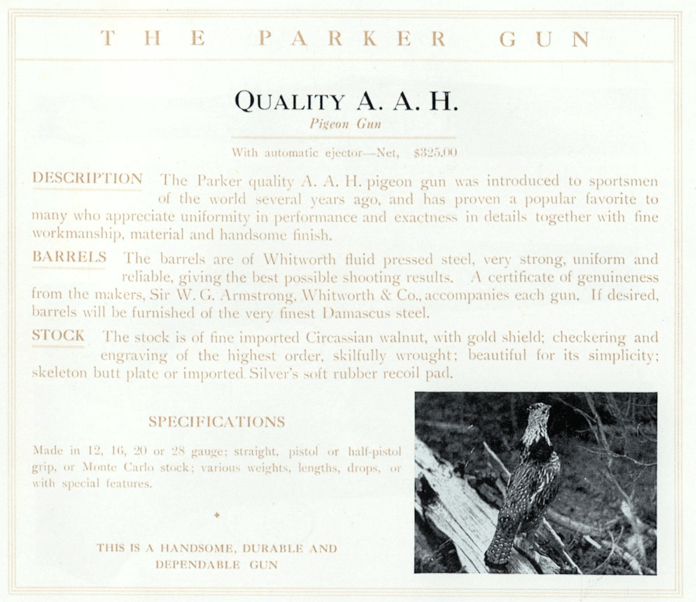 Yesterday, this highly anticipated 12 gauge Parker AAH Pigeon Gun hit the block. 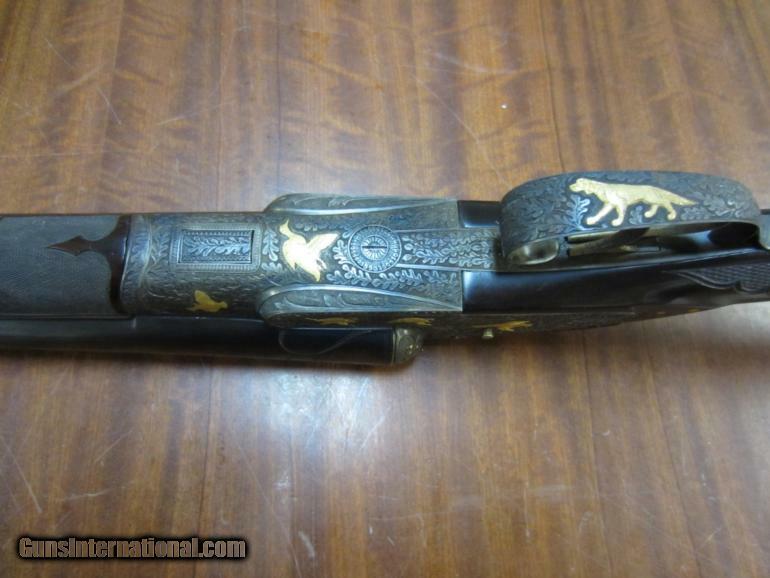 When the auctioneer smacked his gavel and called “Sold!”, the winning price was a stunning $25,500.00 or about $30,000 with the buyer’s premium. 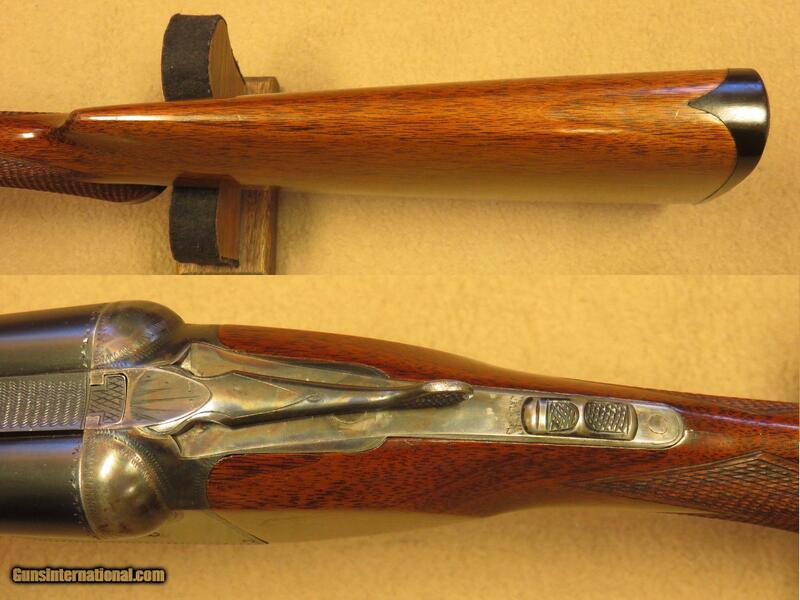 This Parker AAH was made around 1895, and I think it was the fifth AAH that Parker made. 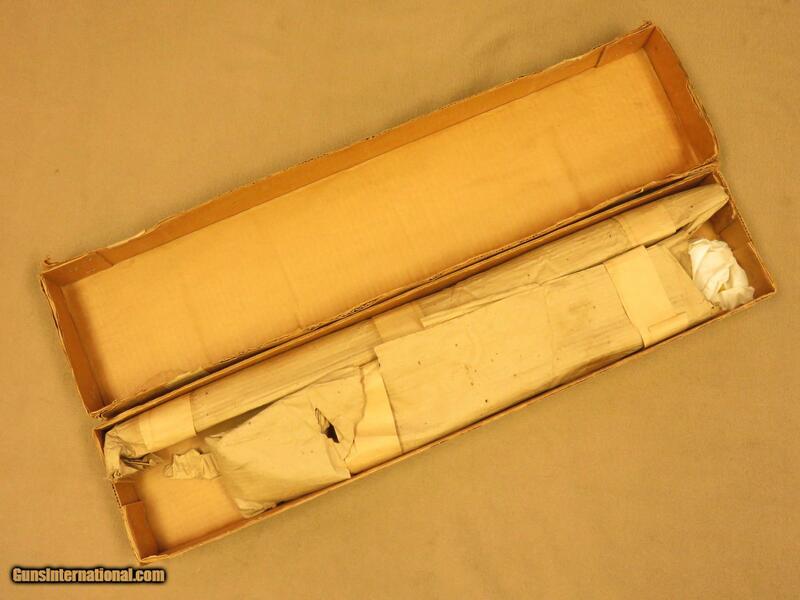 Online, the pics and description of it were pretty pathetic. I’m guessing it must have checked out as very original, and it must have been impressive in hand, to bring that kind of money. I also wonder if there was something else about it that made it special — like maybe it was the first one made with Whitworth Fluid Steel barrels. 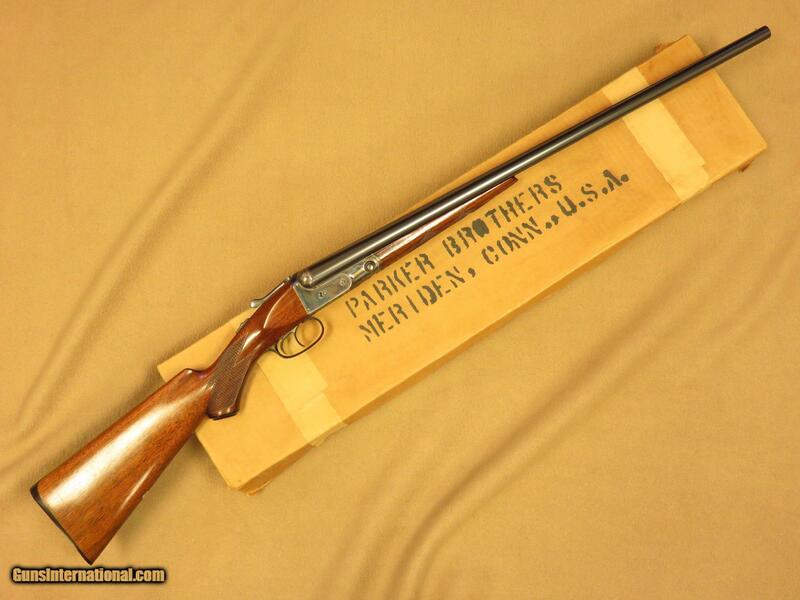 Check out my original post and auction alert for this double to learn more about Parkers AAH-grade shotguns. 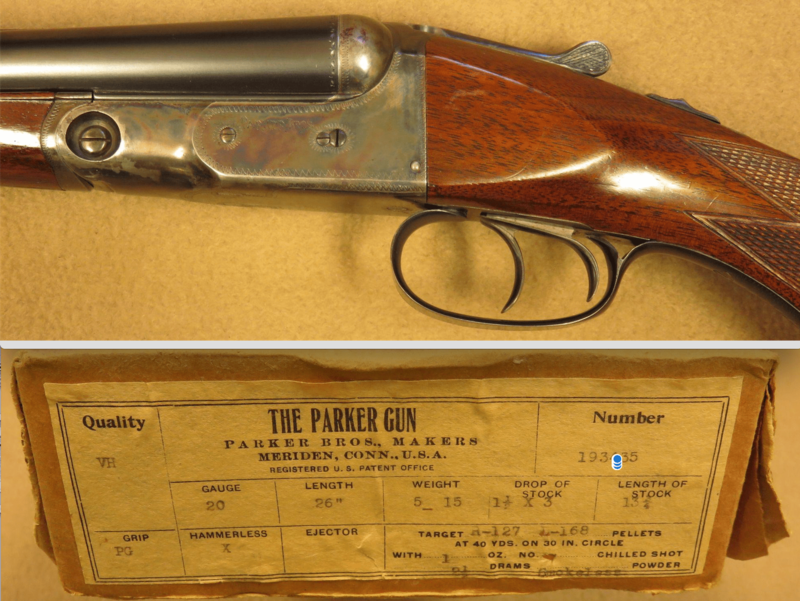 You read the headline right: The Thomas Hirchak Company in Williston, VT, is auctioning off this 12 gauge Parker AAH Pigeon Gun on Thursday, April 04, 2013. 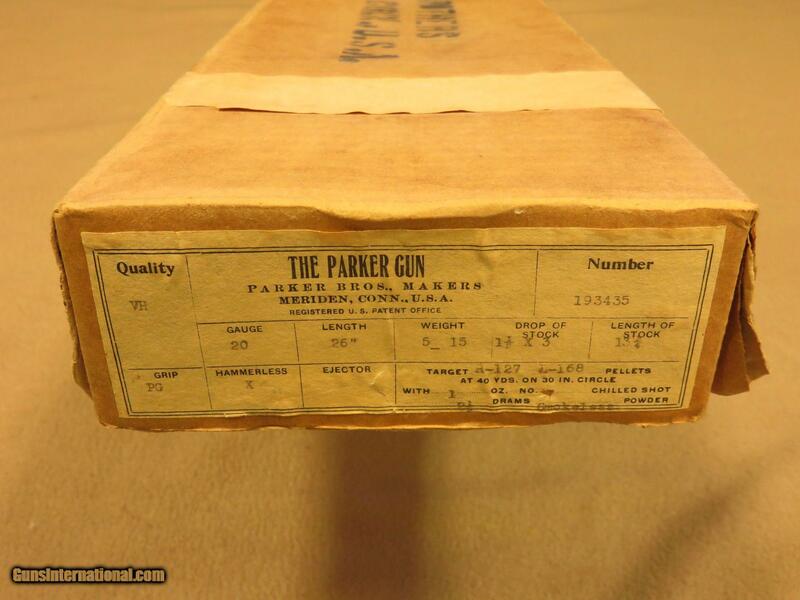 The action starts 10:00am Eastern, and I bet this Parker will be sold to the highest bidder by 11:30am. 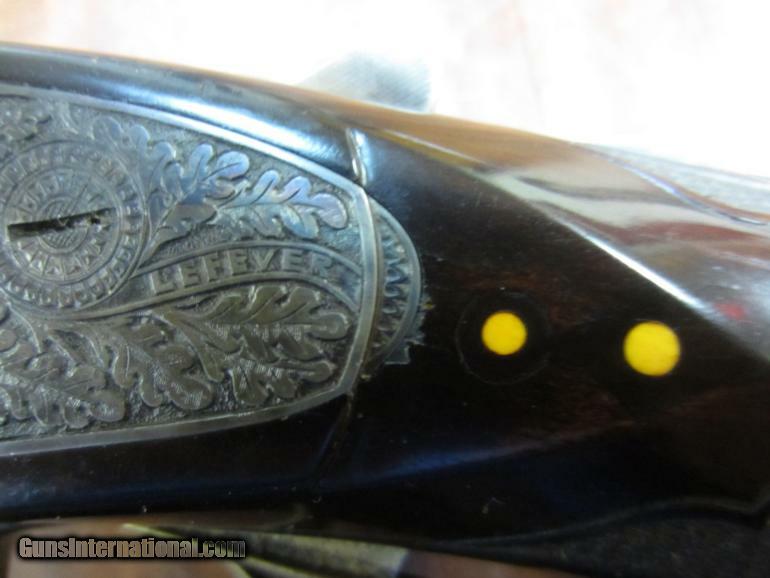 Lot #99: a 12 gauge Parker AAH Pigeon Gun: # 81026 (1895), 30″ bbl, Highly figured Stock, Single Trigger, highly & extensively engraved. The finish on this AAH it looks pretty original. 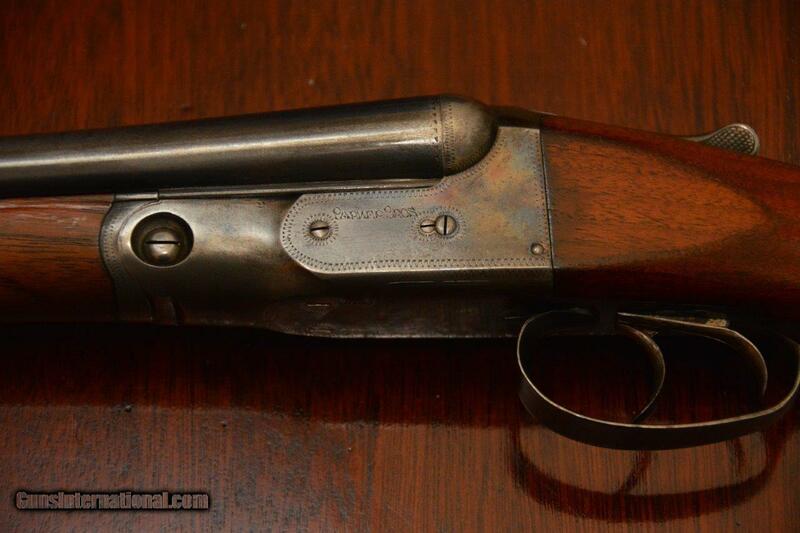 It was made in 1895, so the single trigger is a replacement. 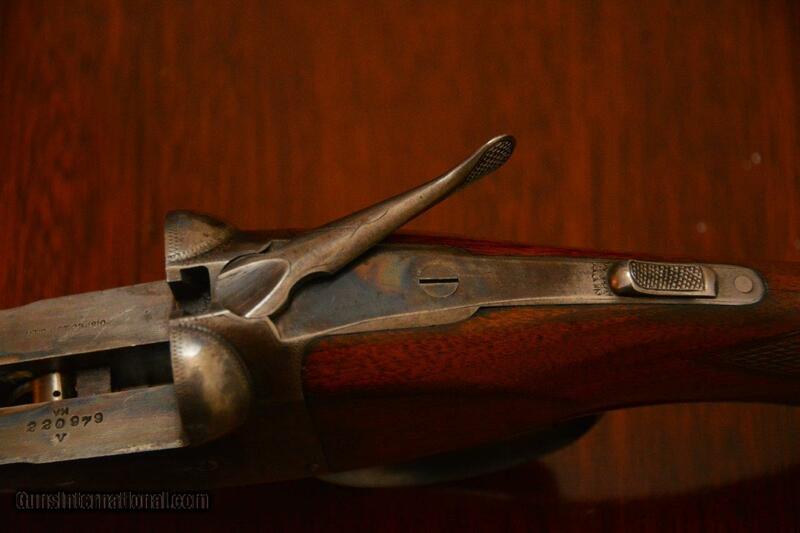 But it does look like it could be a Parker single trigger. 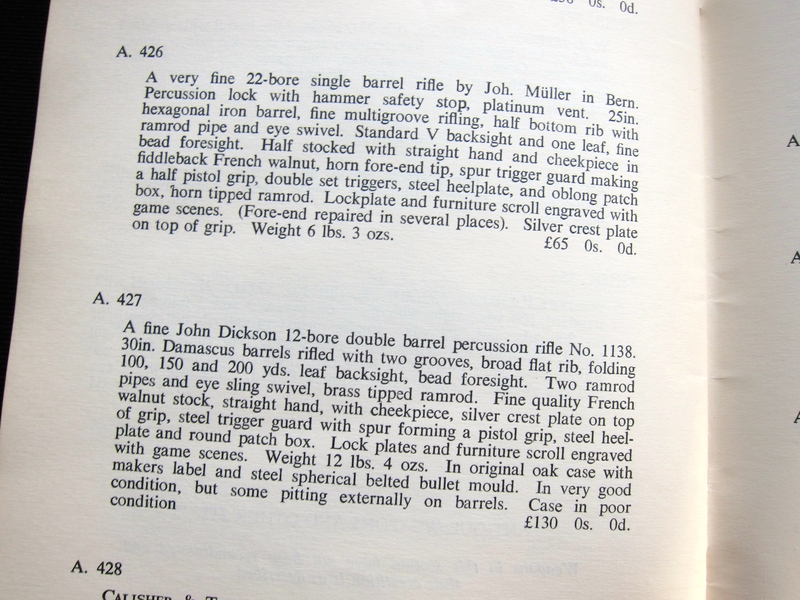 The barrels may be replacements. 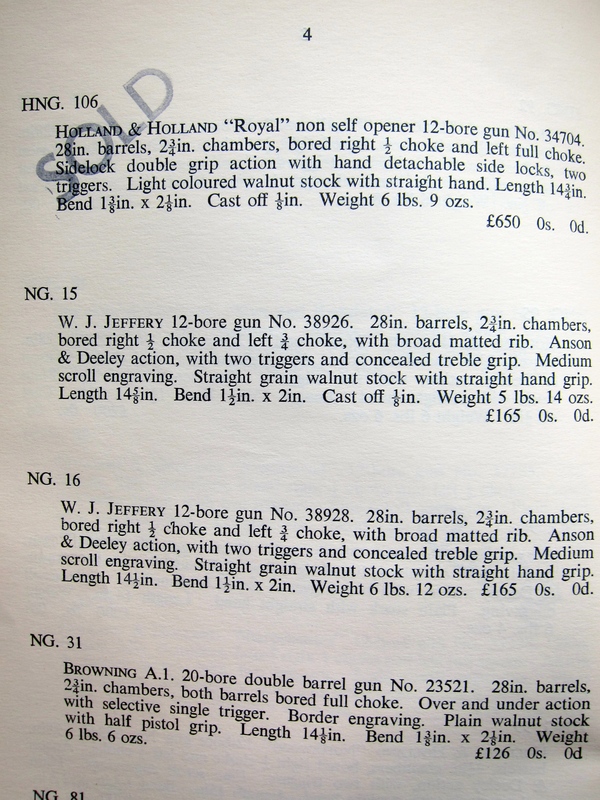 In 1895, AAH Parkers came with fine Damascus steel or Whitworth fluid steel barrels. 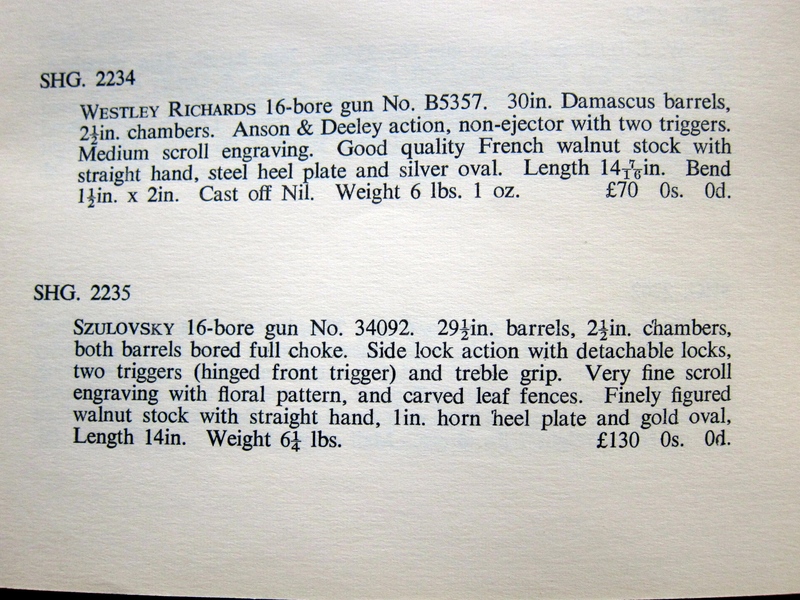 So this side-by-side may have been made with damascus barrels and then had them changed to fluid steel bbls at a later date – maybe when the single trigger was added. 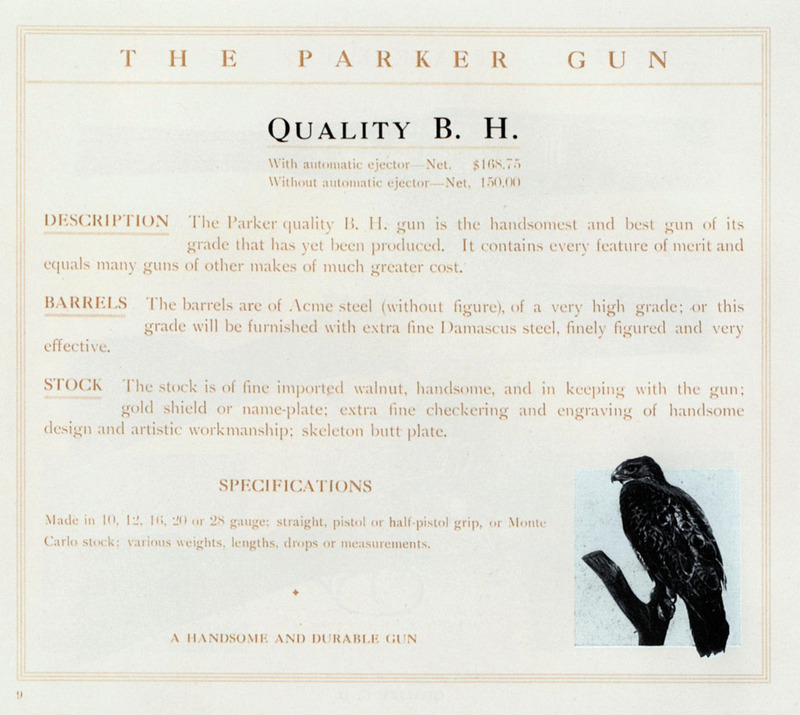 If you really want to know, I would reach out to the folks at the The Parker Gun Collector’s Association for more information about the shotgun. 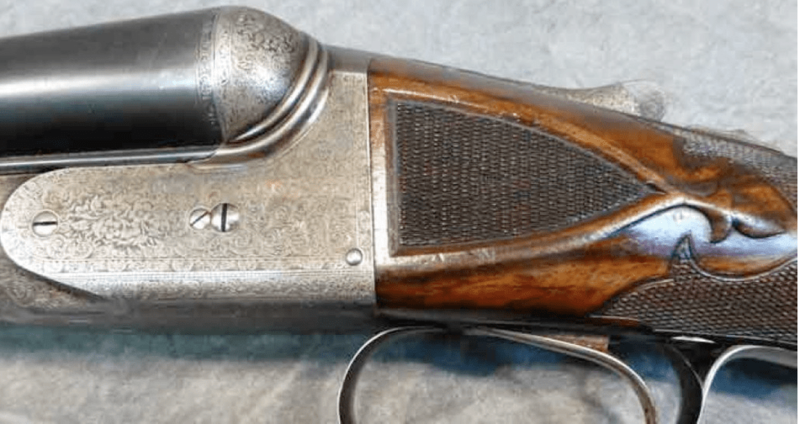 James Woodward & Sons O/U are one of the finest double-barrel shotguns ever created. Patented in 1913, Woodward made his legendary O/U for 35 years — right up to his company’s end in 1948. In that time, he turned out just 225 of them. 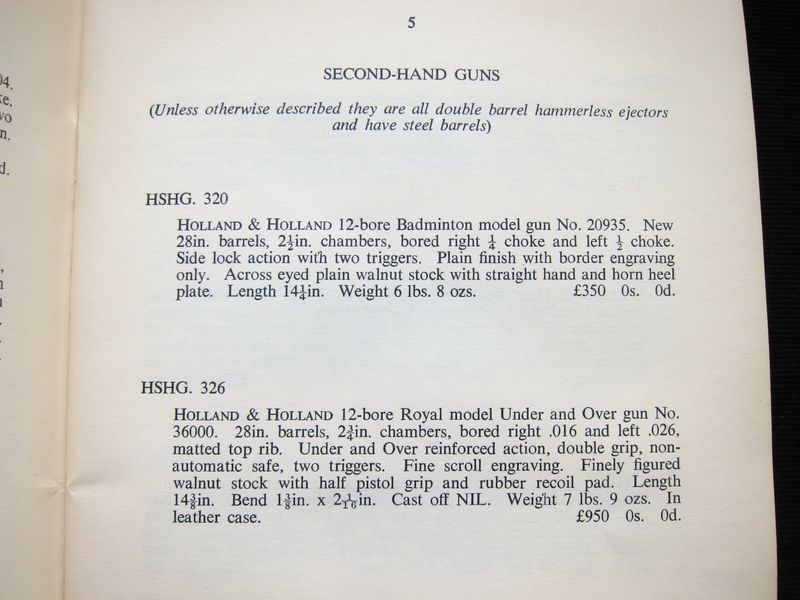 Just 41 of those O/Us were made in 16 gauges. 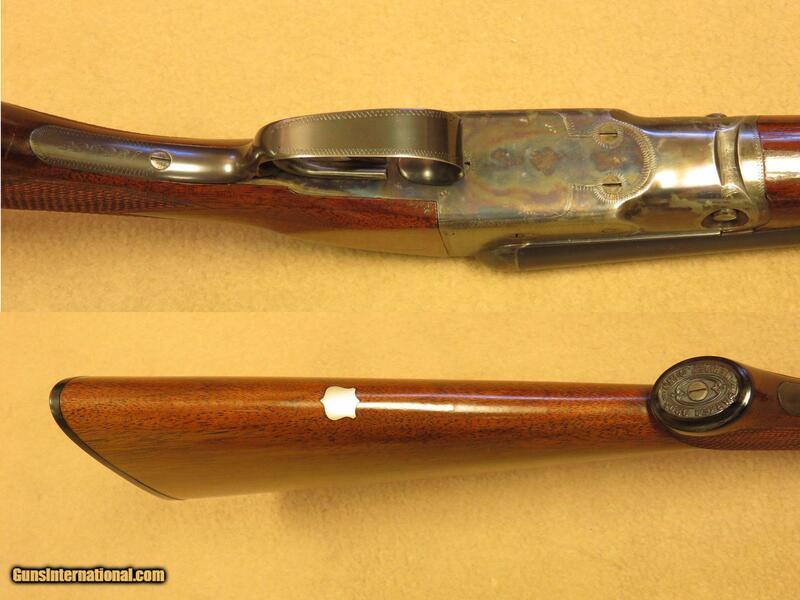 LOT 2163: VERY FINE 16 GA. WOODWARD OVER-UNDER SIDELOCK EJECTOR BOSS SINGLE TRIGGER GAME GUN: SN 6602. 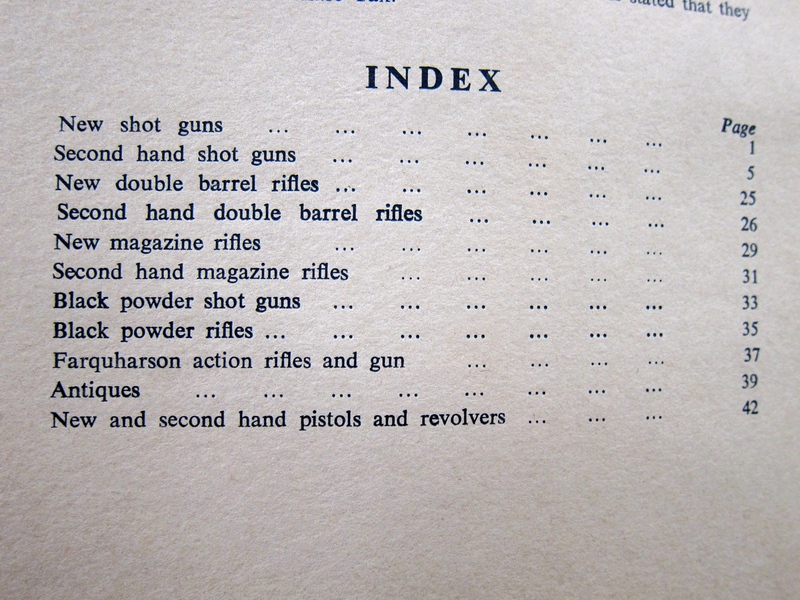 (ca 1921) Cal. 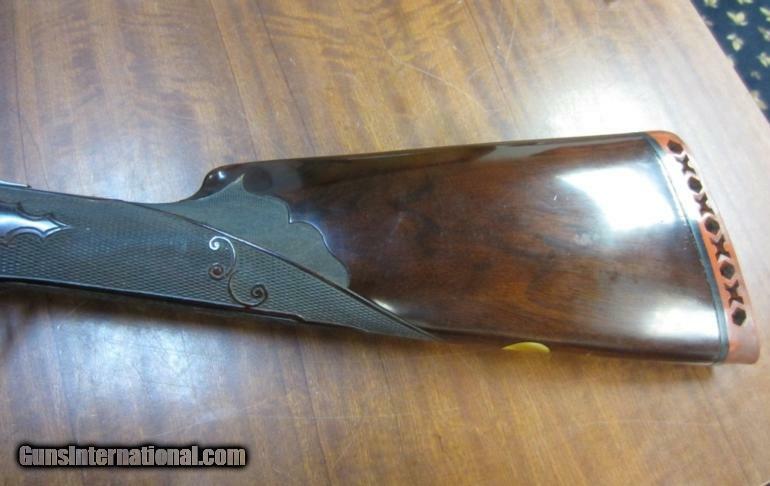 16 ga. 28″ Demi-block bbls with full length file cut solid rib, are engraved “James Woodward & Sons. 64. St. James’s Street. London. 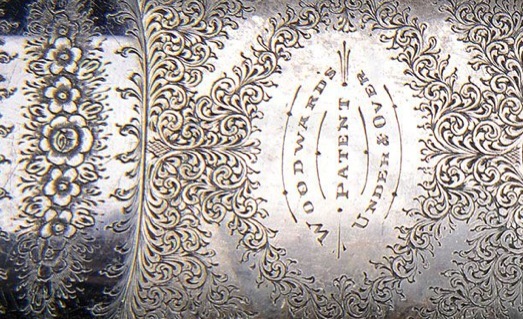 S. W.” and “Made of Sir Joseph Whitworth’s Fluid Pressed Steel” on either side of rib. Bbls are stamped with London nitro proofs for 1 oz of shot. 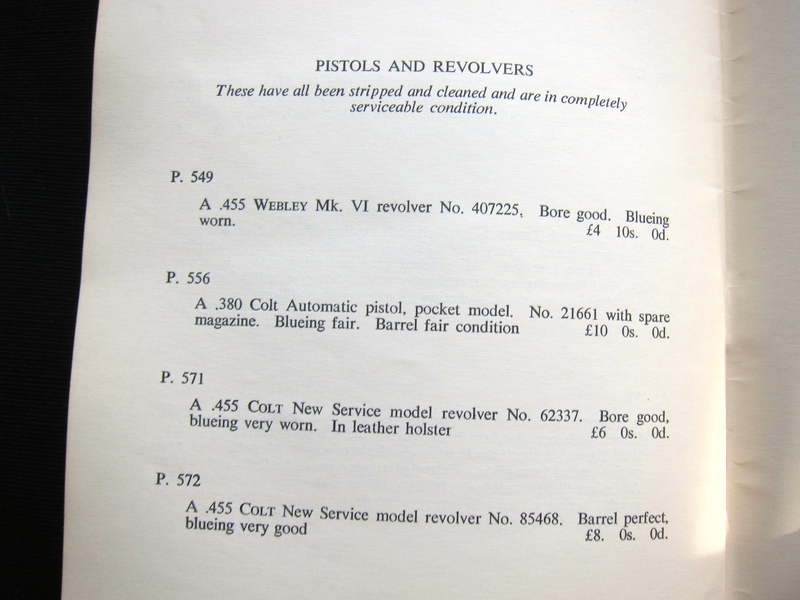 Beautifully filed, case hardened, low profile action features typical Woodward automatic T-safety (SAFE inlaid in gold), bolstered sides, gold band tumbler end cocking indicators, and Boss non-selective single trigger. 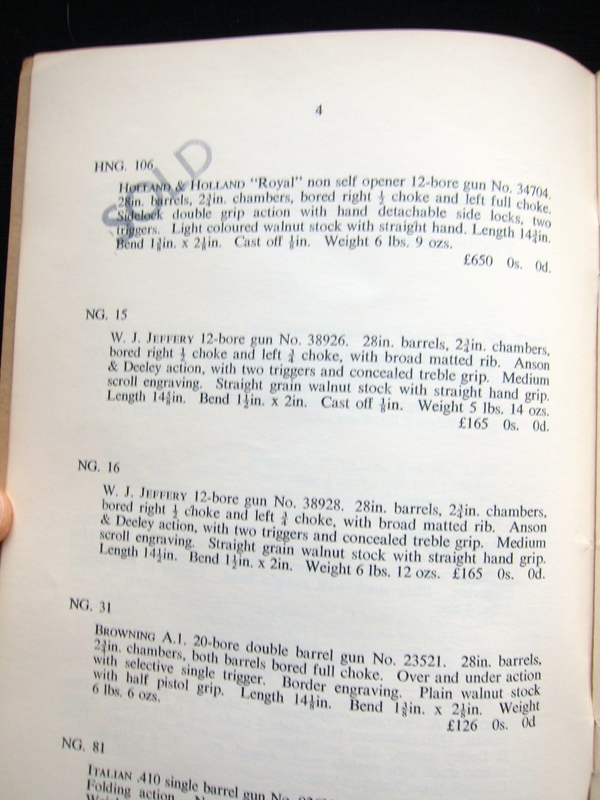 The Woodward action is renown for its grace, and is the prime reason for Purdey’s acquiring Woodwards and the rights to this action, in 1948. 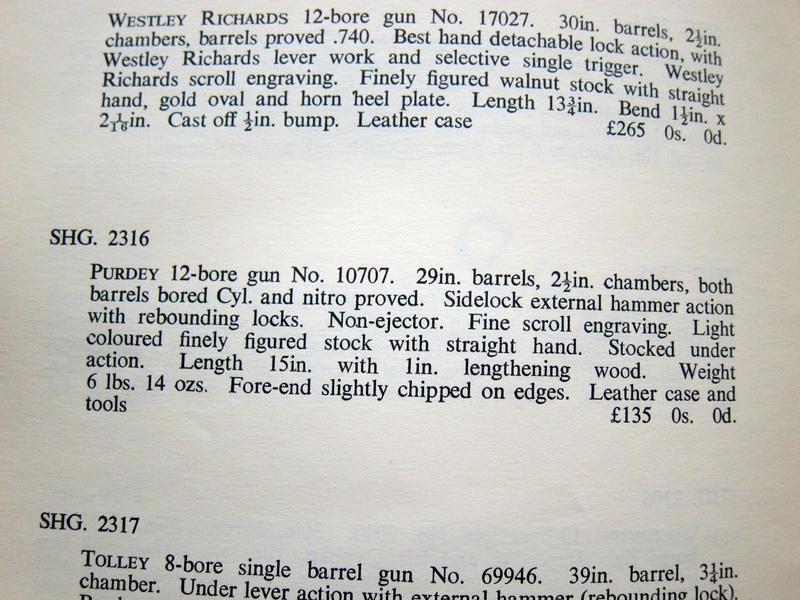 All subsequent Purdey OU shotguns and rifles were built on this action. 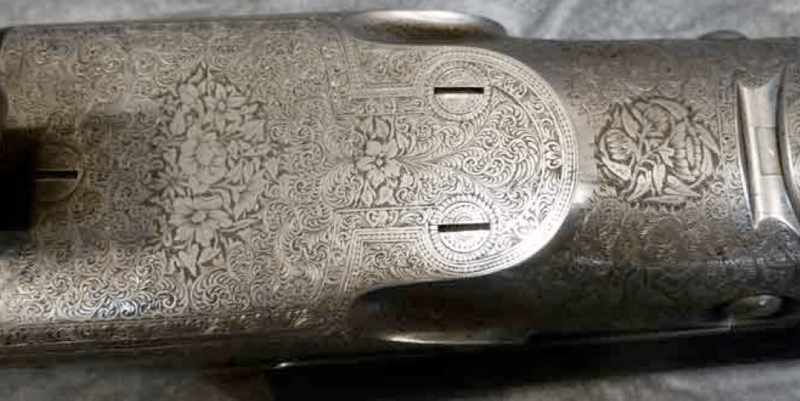 The action and sidelocks of this particular gun are engraved with exceptionally well cut, shaded, small scroll with rose bouquet highlights in Woodward house style. “J. 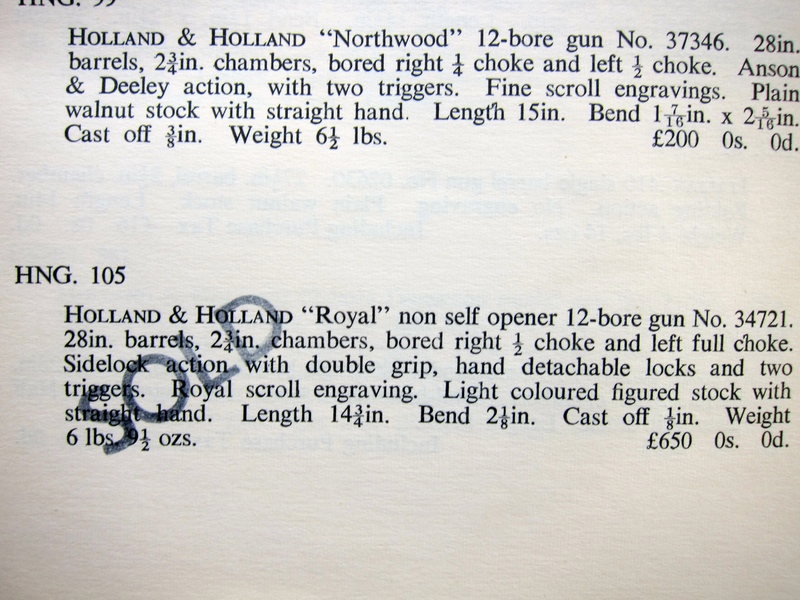 Woodward & Sons” is in rolled scroll flanked device on front of each lockplate. 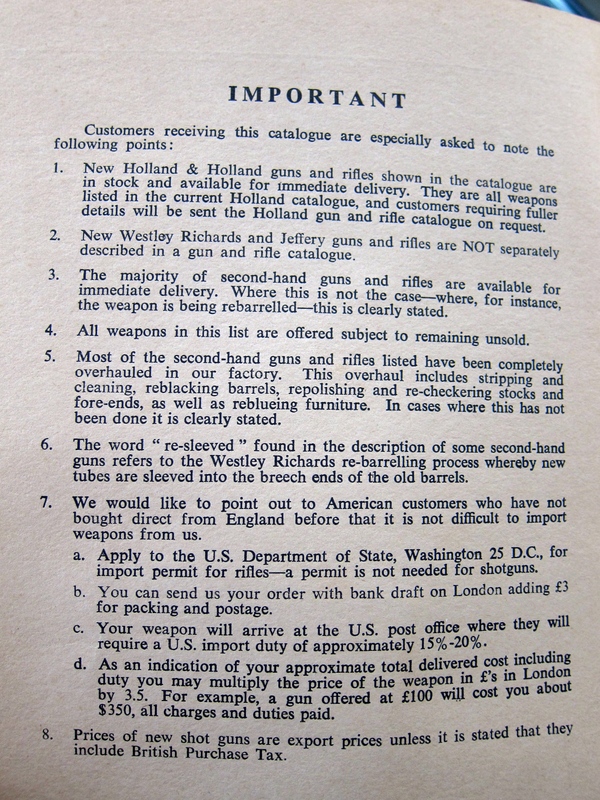 Bottom of action is engraved “Woodward’s Patent Under & Over”. 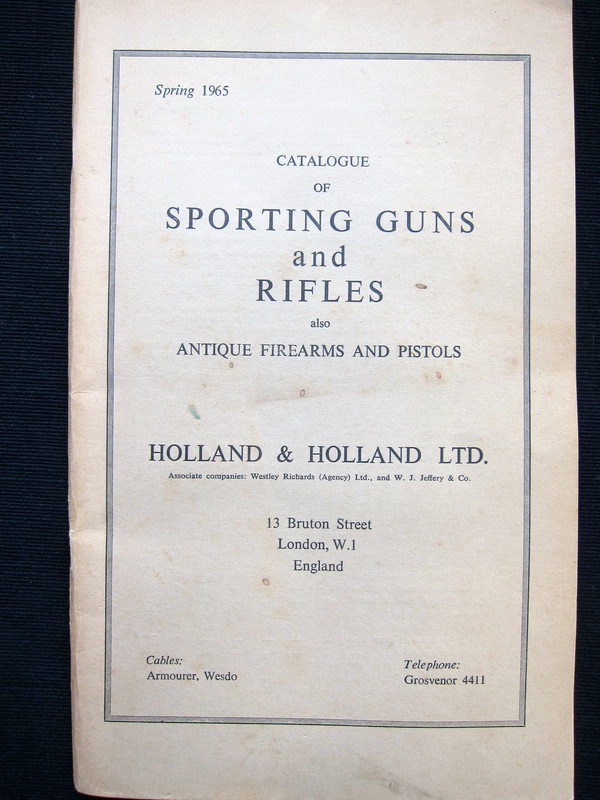 Some time after the initial making of this gun, probably 1950’s, it was fitted with Boss’ renown single trigger, with new trigger plate and small bow single beaded trigger guard installed. 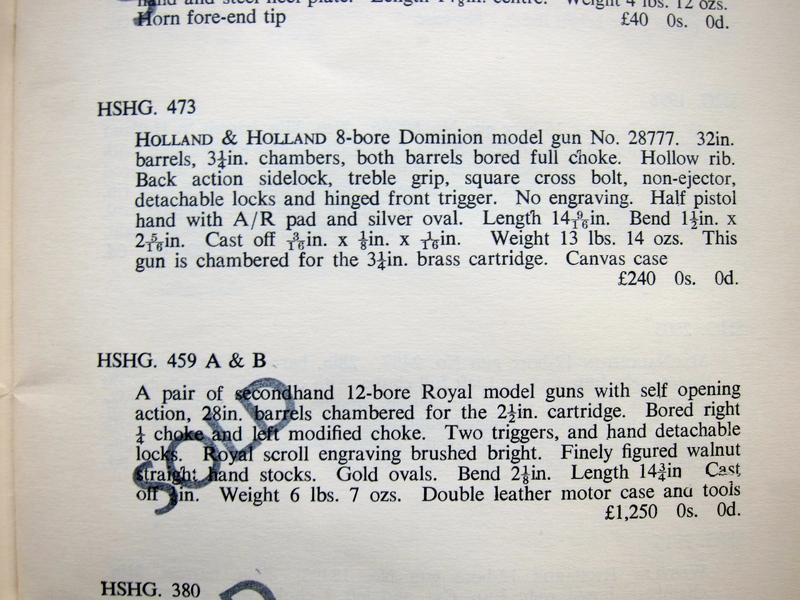 Gun is accompanied by Abercrombie & Fitch hang tag, filled in with specifications of this gun. 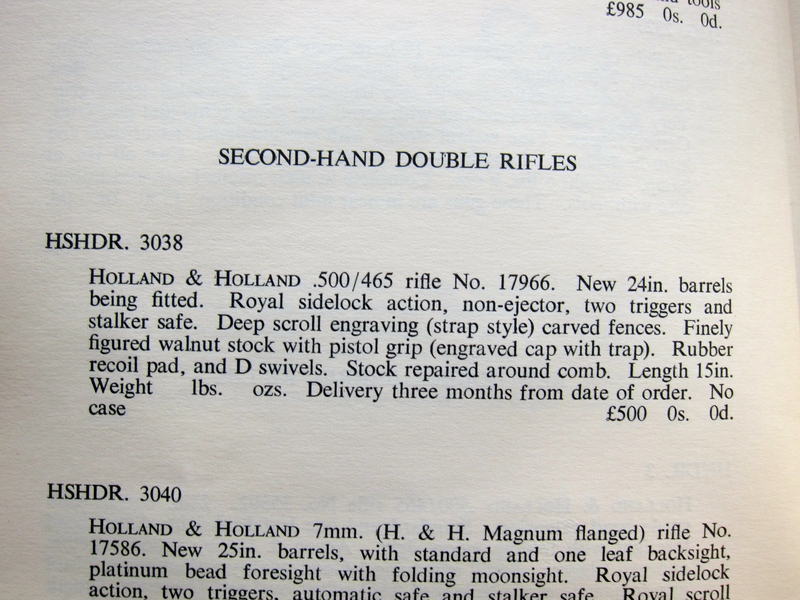 The original notation of “double trigger” has “double” lined out and “single” written above. 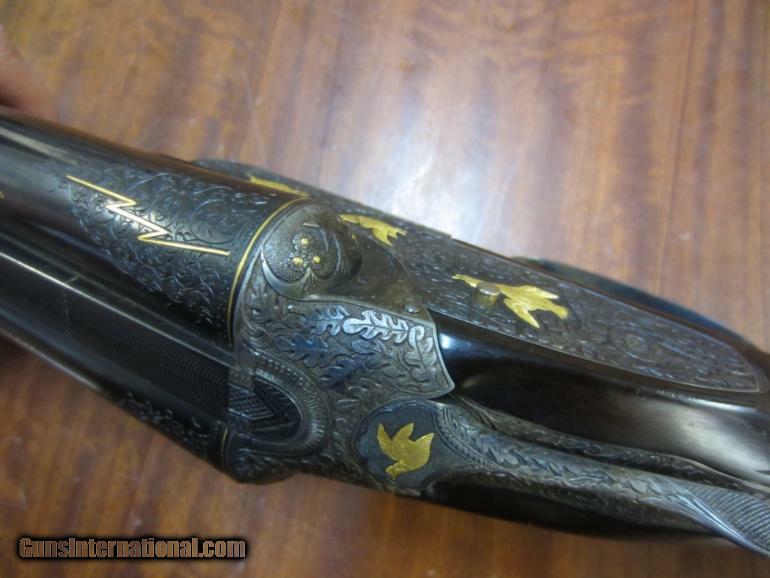 Color hardening of trigger plate and bright blue of trigger guard are both vivid, and engraving, although the correct style, is by a different hand. 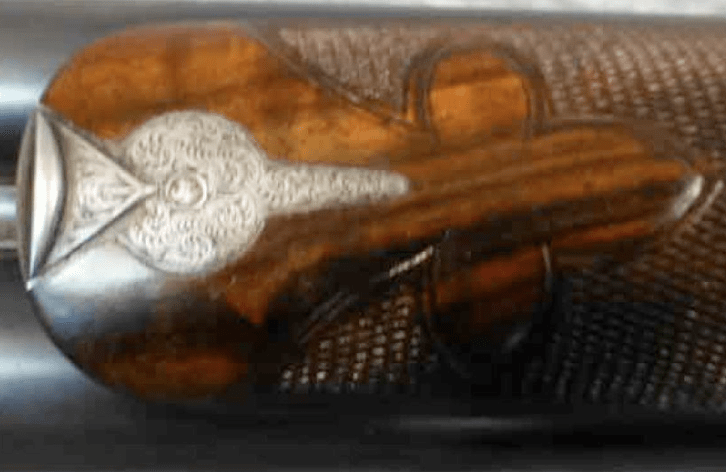 Nicely figured, and beautifully marbled Circassian walnut straight grip buttstock measures 14-1/8″ over ribbed horn buttplate, and features drop points, diamond hand, classic point pattern checkering with mullered borders, and a silver oval on toe line engraved “P”. 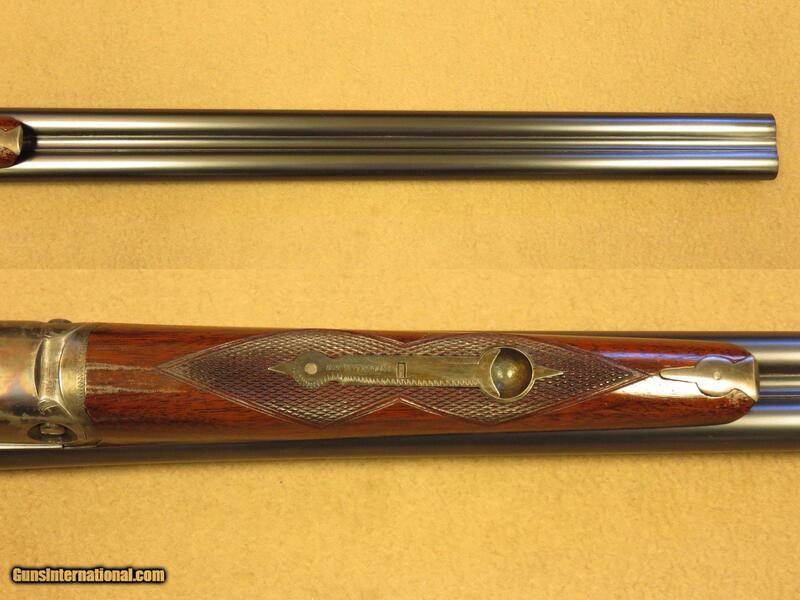 Matching one piece ejector forend has Anson release. 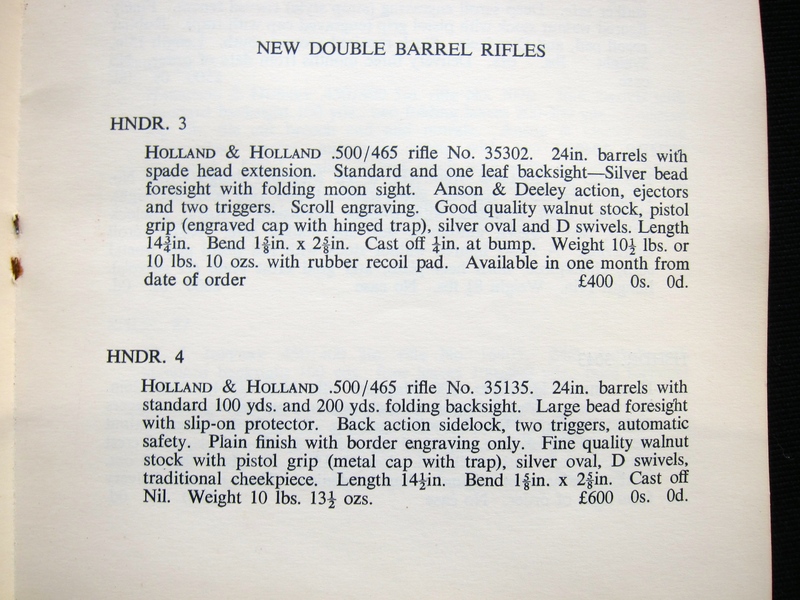 Bore diameter: top -.663, bottom -.663. 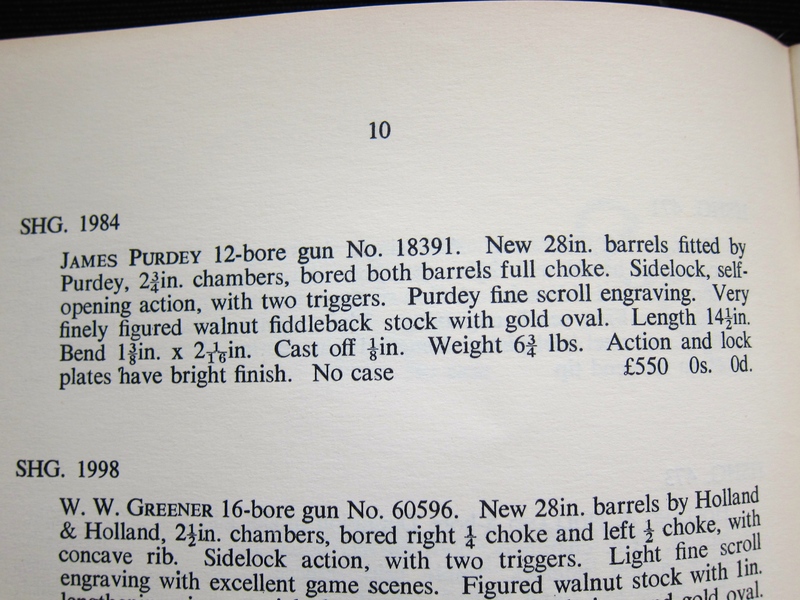 Bore restrictions: top -.023 (full), bottom -.013 (mod). Drop at heel: 2-7/16″, drop at comb: 1-7/16″. Weight: 6 lbs. 2 oz. 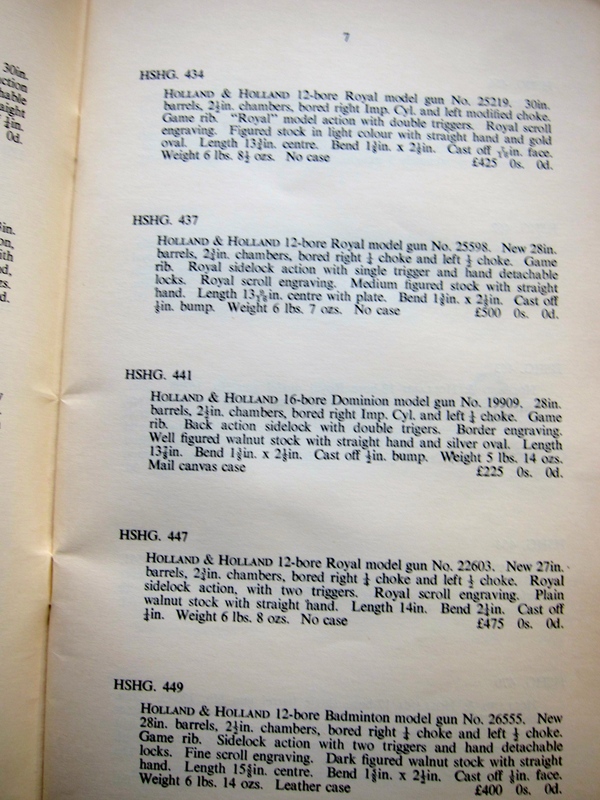 LOP: 14-1/8″. 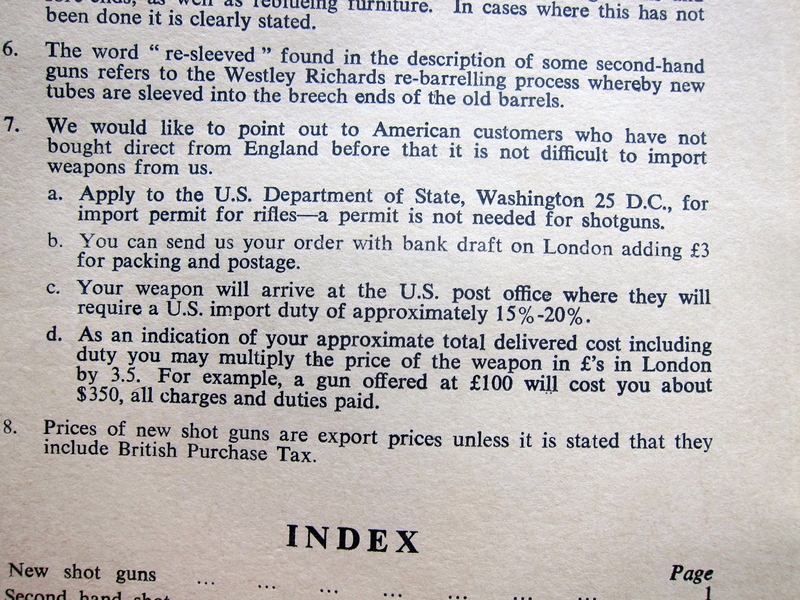 PROVENANCE: Factory letter giving the history of this gun as evidenced by a number of entries in the VL & D and A & F inventories, being first rec’d by VLD in March 1923, last sale was in 1956 to Grant Pierce. CONDITION: Very fine. 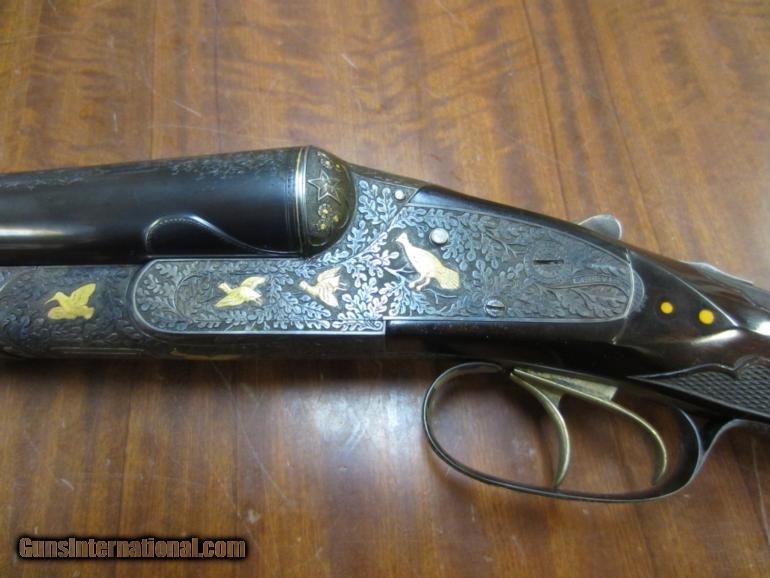 Bbls retain approx 95% of an old London quality re-black, silvered on sharp edges of bolsters, rib, and muzzles. Action retains 40 – 50% muted orig case hardening colors, vivid where protected, especially at top fence. Lockplates retain most of their muted orig colors. 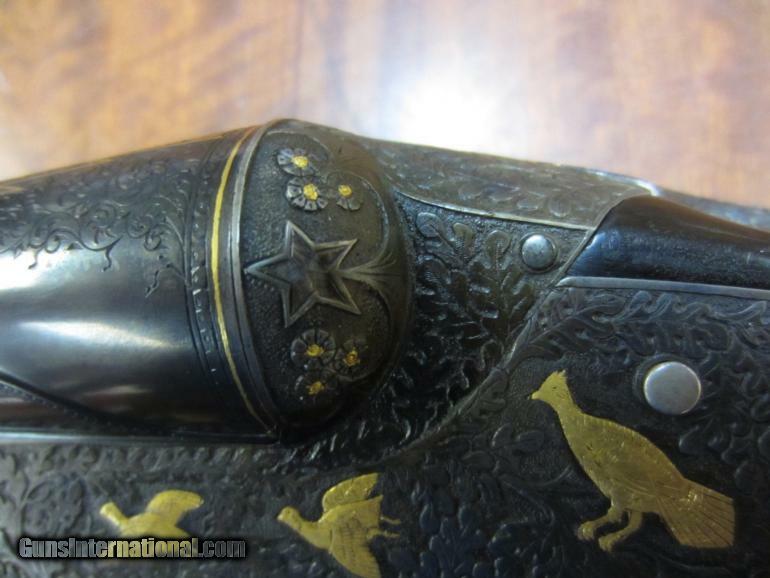 Orig color on trigger plate is near 100% and vivid. 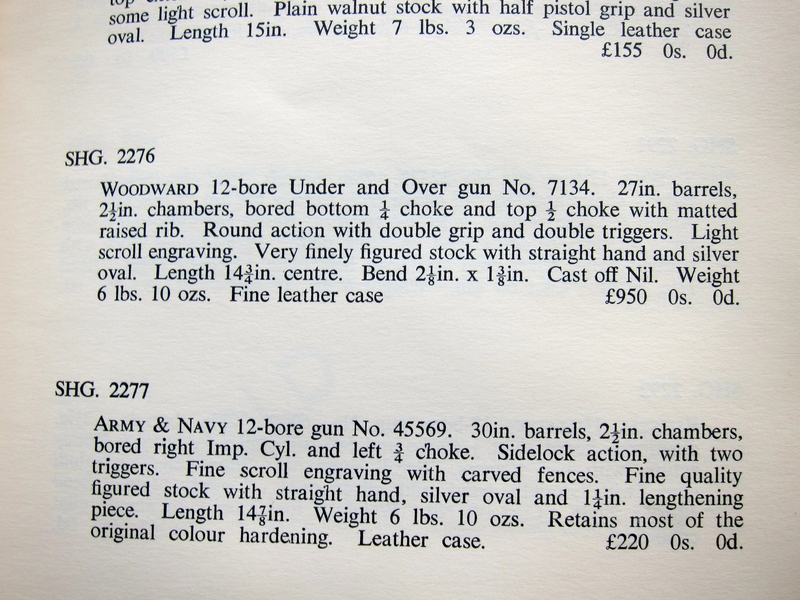 Top lever and forend iron retain most of their orig charcoal blue, with silvering at thumbpiece and rounded edges of iron, some loss due to flaking. 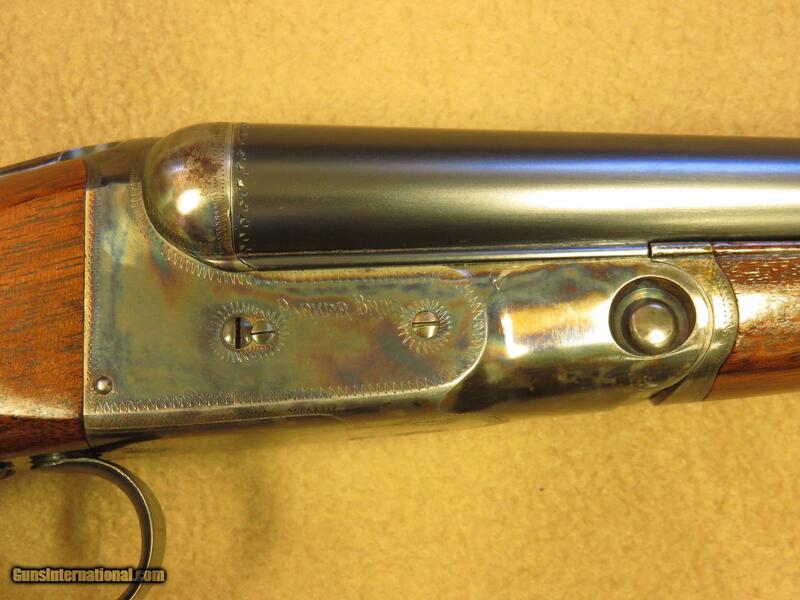 Charcoal blue on trigger guard is near 100%. Screw slots show some use. 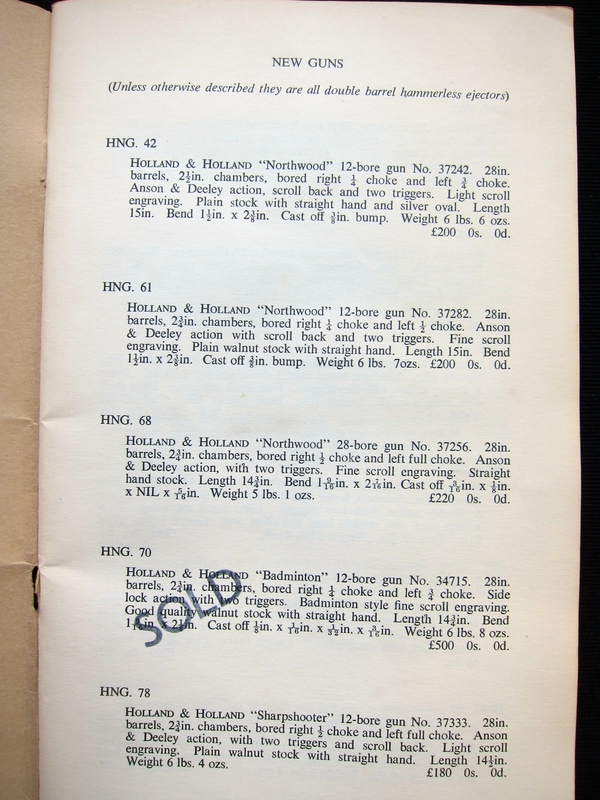 Stocks retain most of their orig hand rubbed oil finish with numerous small marks and light scratches from normal handling and use. There are a few minor chips on left side forearm at juncture of iron. 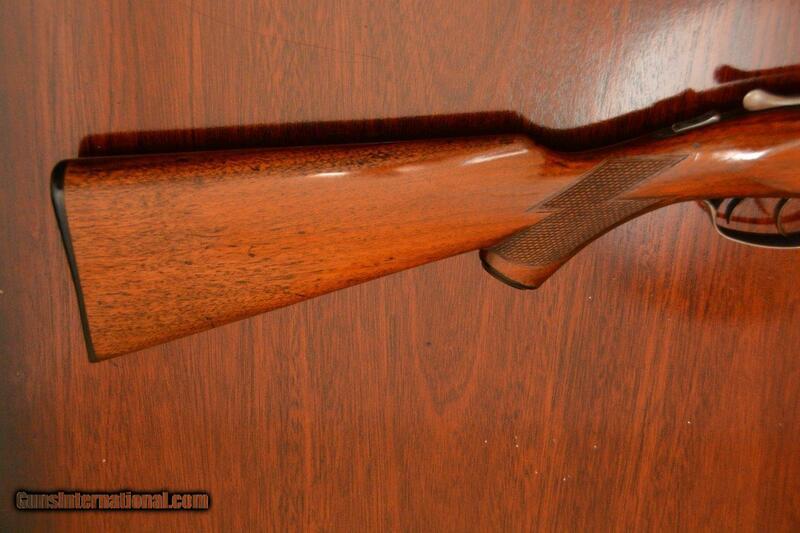 Checkering is slightly worn. 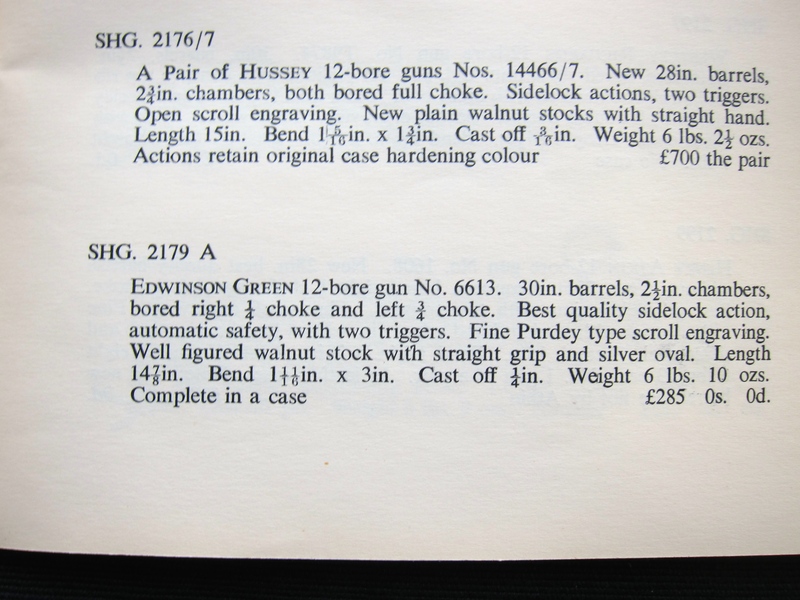 Bores are excellent, bright and shiny throughout. Action has hint of vertical play and a glimmer of light visible on top bbl. 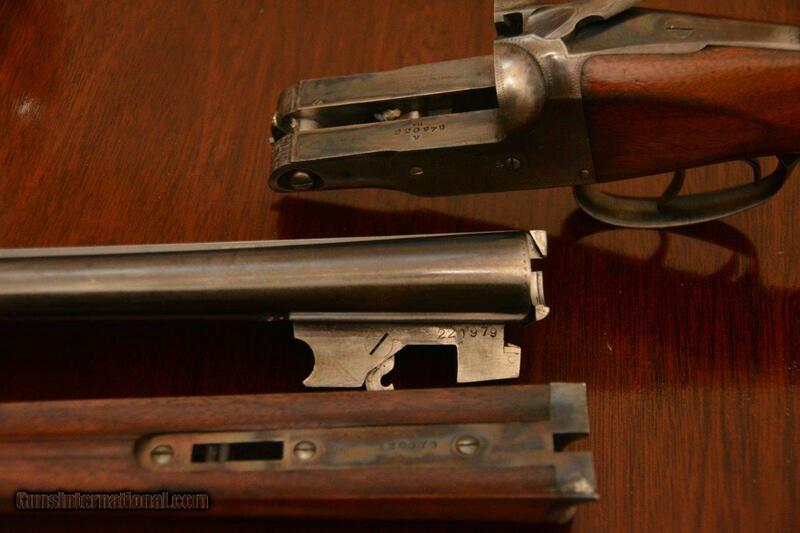 Ejectors are in time. Trigger works. 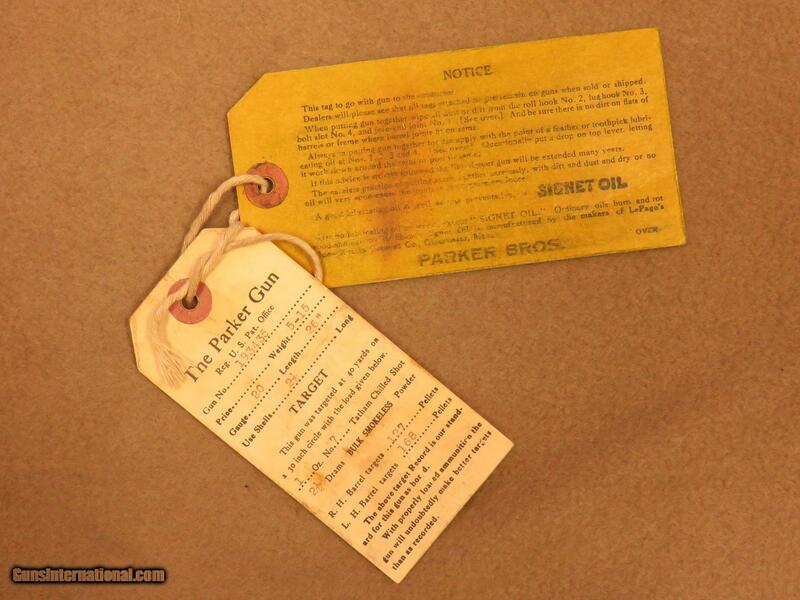 Hang tag shows some creases. 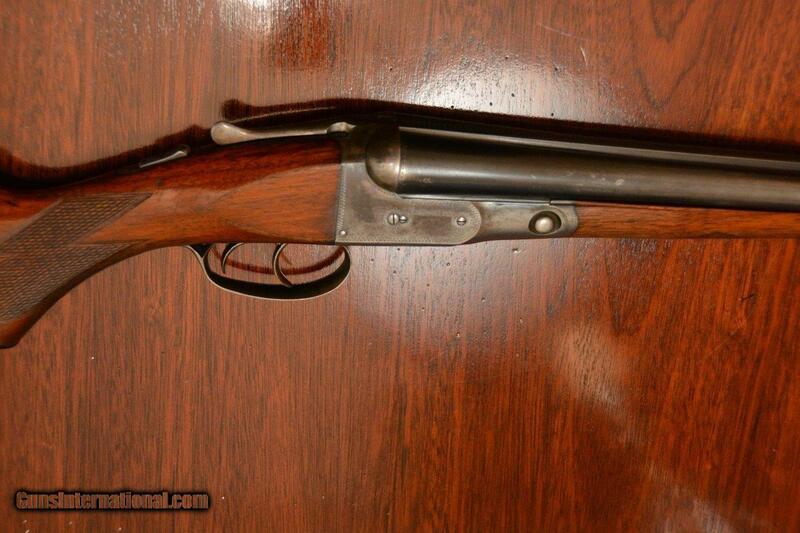 A great handling, all time classic.